Doghouse short. But new owner has rebuilt with no dog house at all. Cockpit I had a footwell; new owner has put in a very nice one. Home Port Currently Belfast, Maine, USA. 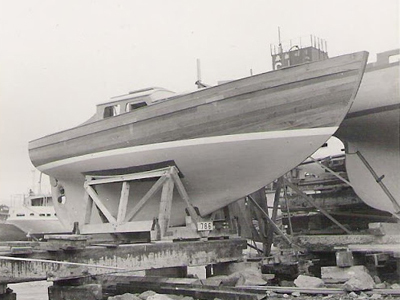 Other comments: When Steve bought her from me, he took her apart down to the hull and then completely rebuilt her. She looks as nice as the day she was made. He did redesign the cabintop so that it doesn’t have the Vertue profile. Steve and his wife don’t sail her very much—and so have her up for sale.